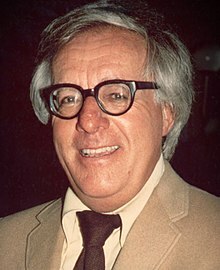 Ray Bradbury was a very accomplished short story and novel writer. Born on August 22, 1920, Mr. Bradbury started writing when he was eighteen and has been writing science fiction, fantasy and mystery stories ever since. His stories very very different and fascinating, as a lot of them take place on planets with no known life on them. For my 6th grade language arts class I had to read his short story “All Summer in a Day” and when I first read it, I was ambivalent because of the story’s mixed messages. But upon reflection in the book report, I realized the message of Bradbury’s story. It is because of this moment, the AHA moment that made me appreciate the story even more. A funny thing is that when I was telling my mom about the reading, she said, “Wait! Is that the story with Margot and the rain? I had to read that for my English class in elementary school.” His stories were old and so was he when he died at age 91, having accomplished so much in his life. RIP Ray Bradbury.